Custom-Steins.com sells to established businesses only - we do not sell directly to consumers. Anyone may browse our online catalog, but in order to receive pricing and further details you will need to submit your Resale Tax ID Number along with your inquiry. 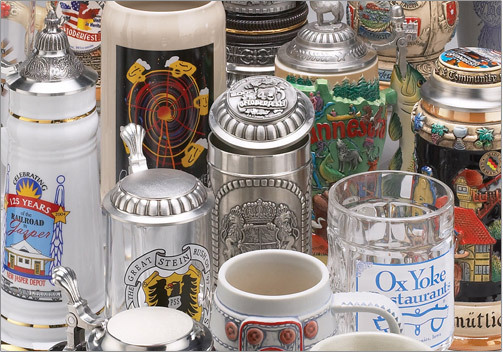 Custom-Steins.com specializes in the design, creation and distribution of top-quality giftware. We offer one of the largest selections in the nation of custom beer steins and drinking vessels — as well as traditional beer steins — and represent over 48 factories throughout Europe, the U.K., Asia and the U.S.A.